Brilliant Safaris and Safari Holidays To The Most Amazing Places! Due to migrations, breeding seasons and the weather you don't just have to be at the right place......you have to be at the right place at the right time. In the dry season to see the animals you need to be near the watering holes and in the wet season you need to have access to vehicles that can get you into deep scrub. You also want to make sure you pick a location free from too many other tourist jeeps so that you bring back the best possible pictures. To find the best safari holiday at the best price, just fill out an enquiry form and one of our safari experts will get back to you quickly with some no obligation advice on the best places to go on safari. They can also search the market indpendently to get the best price. All this is for free as it won't cost you any more than if you went to operators direct. 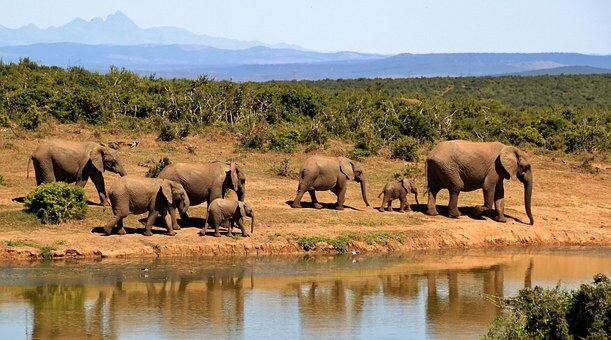 To spot all five ‘Big Five’ species in one safari trip is ambitious. As the lion, leopard, rhino, elephant and buffalo are deemed as the ‘Big Five’ as they are the most dangerous and toughest animals to hunt on foot. • Spot majestic lions, in the Kalahari Desert in Botswana. • For the best sightings of elephants, visit the Tuli Block of southern Botswana. • Damaraland in Namibia is a great place to spot the rare black rhinos. • Serengeti or the Masai Mara are the top spots to find buffalos. • Leopards are the most elusive of all five. Visit Sabi Sands in Kruger National Park, South Africa for your best chance to catch a glimpse. One of the things our travel advisers have enjoyed on safari is seeing the so-called ‘lesser animals’. Watching a Monitor Lizard stick its head above the savannah grass conjures up thoughts of "how do you survive with lions around?" or wondering why there is a Sea Eagle miles from the shore. It's the sort of holiday that makes you think about the wonder of life. For the best advice, latest offers or a free quotation please complete the form on the right to request a call back from one of our Safari travel experts or contact us at 0845 3 65 65 65 for more details. There are countless ways to experience the holiday of a lifetime with a spectacular safari. Here are a few of the top choices, but our holiday experts can help you plan any type of Safari adventure that would best suite you. An overland expedition on a jeep safari allow you to cover larger areas or a variety of different habitats in a single trip. 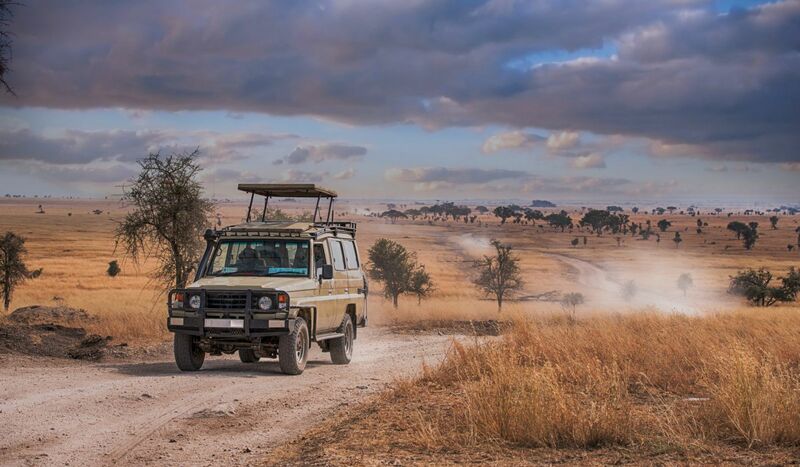 Ride in 4x4 safari vehicles, in the capable hands of a knowledgeable game ranger, as you experience close encounters with Big Five animals. A walking safari is without a doubt the best way to experience the African wilderness areas. Walk alongside a qualified and experienced professional guide as you explore the wilderness, offering you a unique up close and personal style. Among the very best walking safaris are in the Luangwa and Zambezi Valleys in Zambia and in Kenya's Mara region. Travel to remote locations to see the best game away from other tourists. And getting to these locations couldn't be more comfortable as you travel by Private Plane or Hot Air Balloon! 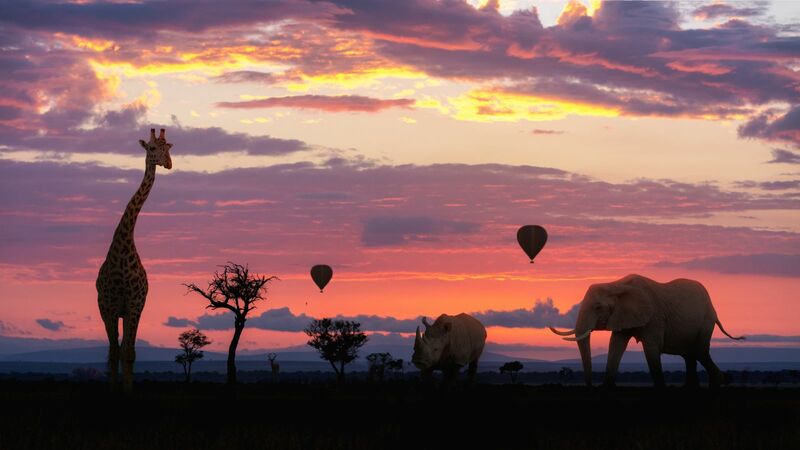 This is a safari like no other as it combines unrivalled views from the air and the ground. The pilot of the plane/ balloon will also serve as your guide for the duration of the safari to point out stunning scenery and wildlife. A flying safari also allows you to combine multiple destinations in one trip to have the best chances of spotting all ‘Big Five’ animals.